10,000+ select high quality images. Do you love seeing the person and tattoo? ...No simple closeups of tattoos - artistic composition of tattoo and person. Mostly women just because more photos of women with tattoos here at deviantArt. See our facebook page by clicking above! 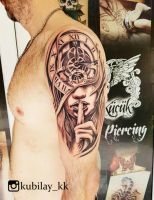 The focus of Tattoo-Art is a combination of person and tattoo. 1. Submissions should show the person artfully or in an interesting setting. 2. No simple close-ups of tattoos. 3. No fuzzy poor photos. 4. No tattoo drawings unless the drawing/painting is of a person who is tattooed. 5. No genitalia fully exposed. Featured section requires 10 votes to be included. Other sections require less votes depending on submitter status such as member, contributor, or regular deviant. There is now a "No Rules" folder - the only place submissions that don't follow the rules are allowed. Jul 19, 2014 Please respect the rules! Dec 8, 2013 We now have a Facebook page - Come check us out! Nov 19, 2012 Tattooed Women folder is FULL! Check out our Contributor's pages! All the artists who are accepted as permanent contributors are exceptional and stand out here on deviantArt! Donation Pool - Continue Tattoo-Art as a Super Group! If you really enjoy Tattoo-Art, please feel free to donate points to keep it going as a super group. Link to donate at my member page above. 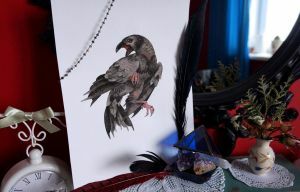 This section has much fewer images than the "Featured" gallery but are not included in the featured sections due to no responses by artists when requesting their artwork. Could anyone here help me with this? Tattoo Ideas, Any ideas are Welcome, for OCs. this comment is directed to one of your contributors (MordSithCara ) wich I made a comment in one of her works and she blocked me , I do so because I think we all have the right to reply. thanks. and great group by the way . by the way , I made the comment ( comment , not compliment ) because I follow your work here in deviantart , like any artist here . excuse me if somehow or other you bother . I particularly like the criticism , I humbly read the good, the bad, and try to internalize what to learn. knowing how different can be the people around the world. There is a very interesting phrase of Voltaire that says "I do not agree with what you say , but I will defend with my life your right to say you " , humble and rather diverse, I think without prejudice , Greetings great artist. And , sorry for my bad english , I will try to learn more to read and write the idiom everyday since now . thank's for the correction again. Hi there! If you want to commission a cheap and beautiful tattoo design, look no further! I do original designs at affordable prices. Just check out my commission price sheet here! A tattoo commission costs the same as a detailed shading digital commission on my chart !! !COMMISSIONS ARE OPEN!!! Looking for an artist to do a quick tattoo for me! Paying with points! Looking for an artist to design two realism tattoos, must have experience with fire and hands. Will get the tattoos within a few months after finished product, and willing to pay commission for someone to draw the final designs that I can take to a tattooist. TY guys for accepting me to your group!! Thank you for requesting my photo. Hi I am looking to add to improve an old Maori tattoo I had on my forearm years ago would like to include aspects relating to wildlife and the tree of life, open to all ideas and am a fan of detail as you can see this is what my original tattoo is currently lacking! Would love to get an insight into the design process and community too as I am a big fan and as a documentary filmmaker also have ideas about a short film I would like to make. Please get in touch! Thank you so much for adding my work!